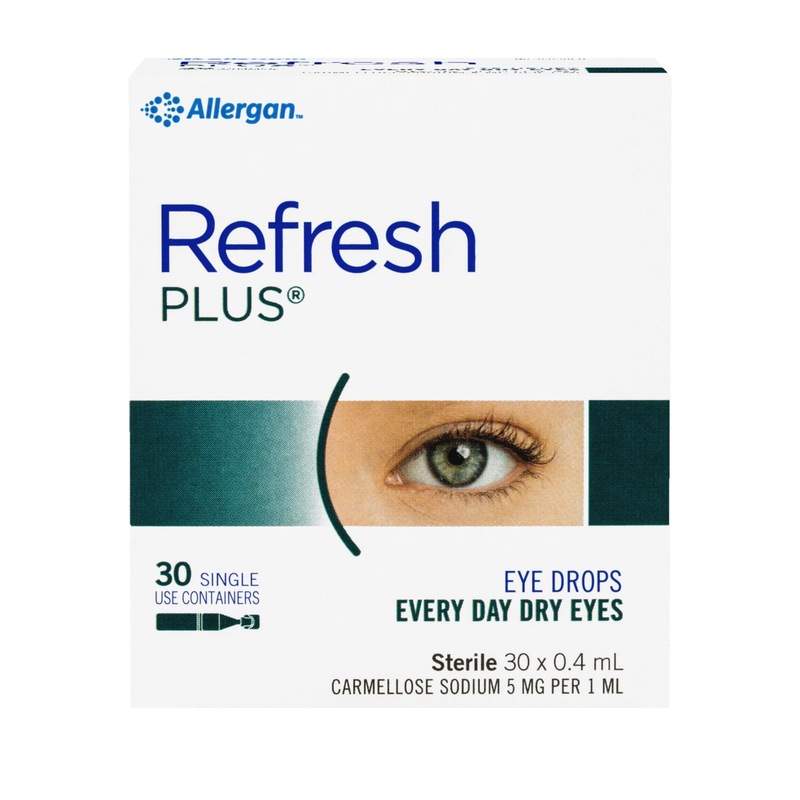 Refresh Plus Eye Drops - for every day dry eyes. REFRESH PLUS® relieves and comforts every day dry eyes. The preservative-free formula avoids the risk of preservative induced irritation. Suitable for frequent and occasional dry eye sufferers. For the temporary relief of irritation and discomfort associated with dry eyes or exposure to wind or sun. For external use only. If irritation persists or increases, discontinue use and consult your practitioner. To avoid contamination, do not touch tip to any surface. Contains no antimicrobial preservative. Use once and discard unused contents. Make sure container is intact before use. To open: Completely twist off tab, then pull to remove. Instill 1 or 2 drops into eye as frequently as required and discard unused contents. Refresh Plus Eye Drop 0.4ml 30 Vials is rated 4.6 out of 5 by 5. Rated 5 out of 5 by Violet11 from Relief! I can't live without these eye drops. I have them stashed everywhere. My eyes are super sensitive and I also suffer from dry eyes. I use these several times a day especially when I feel my eyes are getting tired or gritty from staring at a computer screen, reading or allergies. Instant relief. Refresh by name, refresh by nature. Rated 5 out of 5 by Qing Cai from Best product I bought this online, it's for my mum. Her eyes feel so refreshed after using it.